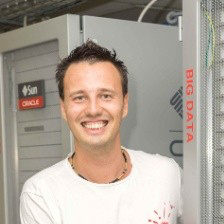 Alexey Filanovskiy is Big Data expert, who have been working at Oracle HQ as a Product Manager for last 3.5 years. He is working with different customers all around the world and was engaged in many real projects. Alexey is also an author of many Oracle Big Data best practices and technical white papers. Before joining Oracle Development organization Alexey was work as Datawarehouse and Big Data solution specialist in Oracle CIS for 3 years.